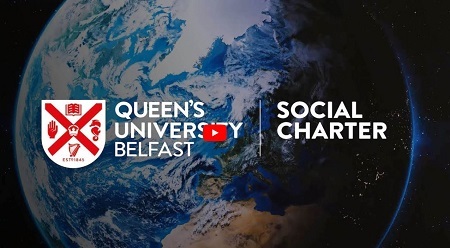 Queen’s University has become one of the first universities in UK and Ireland to launch a ‘Social Charter’, a formal initiative reflecting the breadth and depth of the University’s local and global impact. The new Queen’s University Social Charter provides a platform to publically convey the University’s relevance, impact and commitment to the local community. As part of the Social Charter, there will be 19 Signature Projects which span the University and reflect the extent of research and activity at Queen’s. These Signature Projects include global alliances for leading edge cancer research, ground-breaking research in children’s healthcare and developing future leaders and students helping in homework clubs across inner city Belfast. Professor James McElnay, Acting President and Vice-Chancellor at Queen’s, said: “The Social Charter could be described as a social contract. Through it, we are shining a light on the significant contribution made by students and staff at Queen’s. Student President Stephen McCrystall said: “The Students’ Union and the Student Council warmly welcomes the Social Charter. We currently have 11,500 of our students involved in volunteering, clubs and societies, and our student body has a long and proud tradition of civic engagement, promoting equality and diversity, and campaigning for social justice. One of the Social Charter’s Signature Projects is the Centre for Evidence and Social Innovation (CESI) Zones. The Centre works in sustained partnership with local communities and the professional and community organisations that support them. The Centre is innovative in its approach, pioneering new ways of thinking and innovative ways of working to address key challenges facing society. Queen’s honorary graduate and Chief Executive of the Greater Shankill Partnership, Dr Jackie Redpath MBE, said: “Queen’s is working with us through the Centre for Evidence and Social Innovation to examine and evaluate what we are doing but also to guide what we’re doing and to bring best practice and what works to bear. Commitment to equality and justice. 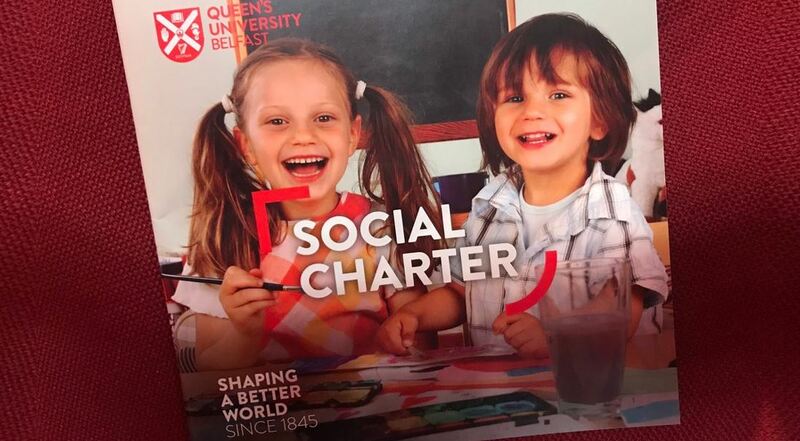 To find out more about Queen’s University’s Social Charter visit our website. Media inquiries to Kathryn Kirk at Queen's Communications Office on tel: +44 (0)28 9097 5310.